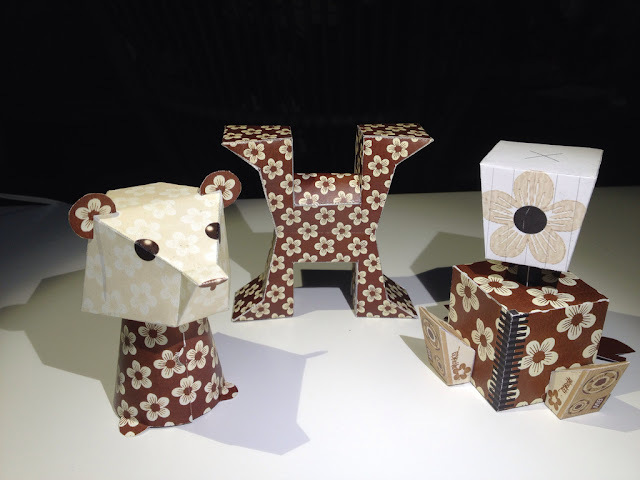 I made some customs for the third issue of Paper People, Pimp my paper toy, a nice thing happening in Pordenone, Italy. The project is for raising cash to buy material to the youth department at CRO, a cancer research center. So, it's for a good thing, but that means that you can't download this, just look.. I made customs of 3eyedbears bear, Vinsarts H-man and Phils Minibox can. Lovely toys and I hope my customs can make some money for a good cause! If you pass by Pordenone, buy my stuff! Unfortunately I woun't be there myself. What did those hippies do to my robot?! ?